Tea is more than just a hot or cold beverage. Explore the world of tea and the art of consuming it; experience the true nature of a beverage with so much of history and culture. Tea is a product of its origin. Its authentic character is derived from its environs and climatic conditions, tracing back to how the tender leaves are picked and processed. Each and every phase the tea leaves go through build their unique characteristics distinctive to its origin giving it body, character, flavour and aroma. The Tea Masters of Bogawantalawa Tea Estates with years of expertise in regards to tea tasting in Sri Lanka have mastered their “tasting vocabulary” and have created over 500 blends to date to suit the palate of our consumers globally. The following guide has been developed by our Tea Masters along with connoisseurs, translating the language of tea in order to transform the traditional tea drinker into a tea taster. Prior to learning the art of tasting tea, one has to know the basics of tea itself as explained below. The thousand year old tea culture originating from China represents a sign of respect and precision tapping into all the senses of one who prepares and tastes the tea. Today, moreover this has transformed into an art for connoisseurs, focusing more on appearance, aroma, flavour and the lingering impression on one’s palate. Currently, the types of tea in the world are countless. 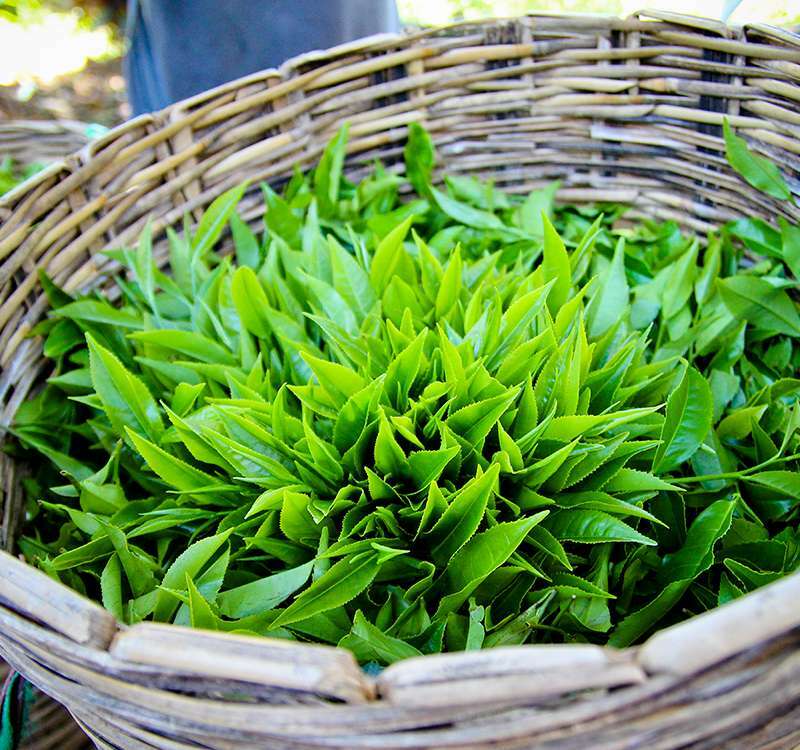 Nevertheless, the traditional classifications are green, black and oolong tea. More recently, white tea and pu-erh tea have been added to this list of common Western tea classifications. Other tea types include yellow, flavoured and blended tea. Each of these tea types have their own processing methods that differentiate them by taste, body and aroma. The key to a cup of exquisite tea lies in the brewing technique that brings out its authentic characteristics. Add between two to three grams of loose tea leaves and brew for approximately three minutes in 180 ml of hot water; between 70 °C to 80 °C for green, 85 °C to 95 °C for oolong and 100 °C for black tea. In the event of using a tea bag, the same technique could be followed while ensuring not to over squeeze the tea bag. When we think of taste, we think of our tongue. However, studies have proven otherwise, where up to 90% of flavour is perceived through smell. Our tongues detect five essential tastes which are sweet, salty, acidic, bitter and savoury – and this is what provides us with the initial impression of taste.When we think of taste, we think of our tongue. However, studies have proven otherwise, where up to 90% of flavour is perceived through smell. Our tongues detect five essential tastes which are sweet, salty, acidic, bitter and savoury – and this is what provides us with the initial impression of taste. AROMA: Holding the cup close to your nose inhale and witness the first perception of flavour through a deep and then a few rapid inhalations. TASTE: Scoop up some of the liquor with a spoon and leaving your table manners behind, slurp the liquid up into your mouth from the surface of the spoon. The louder the slurp, the better! This is done to mix oxygen with the liquor as it helps to bring the flavours to life. While keeping your mouth closed, you need to breathe out through your nose to receive the retro-olfaction perception. Pay special attention to any sensations created on the tongue, for example, sweet or savoury. And remember that bitterness is present in the majority of teas because of varying degrees of tannins. Thereafter, you can swallow the liquor. First impressions – Head notes are the ones that give you the initial impression, and they come thick and fast. Secondary ring – You then feel the body notes that give you the overall lasting impression and character. Aftertaste – Finally, the tail notes are the ones that linger and stay with you after the liquid has passed from your mouth. This final stage often indicates the complexity and, in some cases, the quality. FEEL: The “mouthfeel” is all about the sensations you feel in your mouth when you taste the tea. Different teas trigger different sensations. Some are smooth and round, some are drying and bite into the jaw – but all of them help us to decide if the tea feels right. Often this is the connection between taste and smell.